Today there are more ways than ever for drivers to earn – and save – money motoring. It’s the result of the sharing economy, a largely internet-enabled phenomenon that allows people to rent their assets to others. The sharing economy is certainly catching the collective imagination. Accountancy firm PwC believes it will go from being worth around £15 billion globally in 2015 to £335bn in a decade. According to PwC, car sharing is one of this new trend’s five main pillars (peer-to-peer finance, online staffing, peer-to-peer accommodation, and music streaming are the others). Renting out your car isn’t the only way drivers can benefit from sharing. Think of this as hitch hiking with less risk for driver and passenger alike. People who’re doing a trip advertise it on a website. Then drivers and passengers doing the same trip at about the same time are united. The advantage to drivers is they can share their running costs. Passengers, meanwhile, save on pricey train, coach or plane tickets. And on the sites where drivers and passengers sign up and rate their journeys, both can travel safe in the knowledge that their travelling companion is unlikely to be an axe-wielding maniac. Rather than owning a car, the sharing economy answer for younger city-dwelling drivers is to belong to a car club. It’s a bit like hiring a car but usually cheaper and less hassle. And depending on where you live, you might find a club car just round the corner rather than having to go to a centralised car hire location. Generally it works by drivers signing up to the club. They can then reserve their car online and pay by the day, usually around £25. It is worth examining the small print as some have a hefty insurance excess if you have an accident. If this is the case, consider separate, usually cheaper, insurance to cover the excess. If you own a car but don’t use it for long periods, why not rent it out to other drivers? The mechanics are simple. You list your car on a website and drivers looking for a cheap car to rent get in touch. Reputable companies will vet both owners and renters alike. This gives owners the peace of mind they’re not lending their car to a banned driver; renters know they’re not driving around in a death trap. 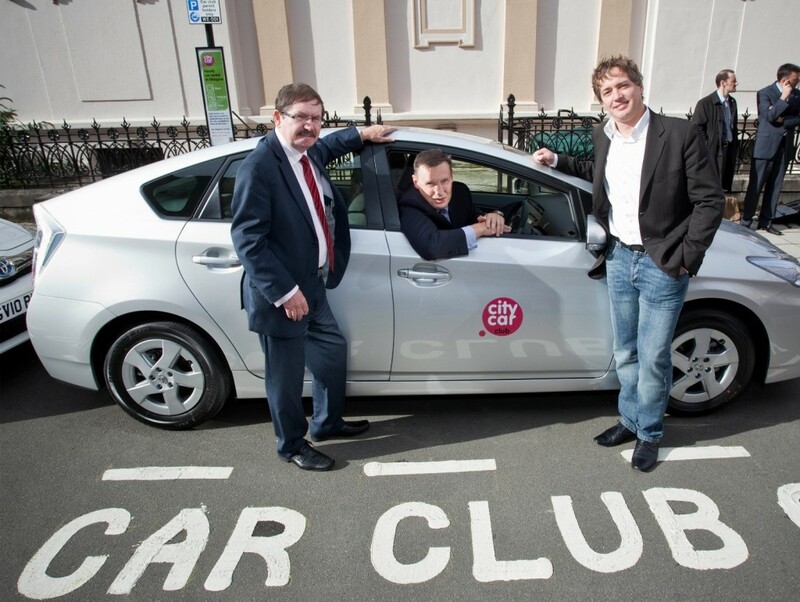 Some firms claim drivers can earn up to £150 a month from renting their car. Fed up with paying an exorbitant amount for inner city parking? Disgruntled that your drive is sitting empty while the local authority charges an arm and a leg for parking on the street? If either of those applies to you, you could benefit from renting out your driveway. Websites match up property owners with potential parkers. For owners of drives, it’s a return on their investment; one property owner in north-west London has made £10,000 in the past 10 years from drivers parking on his land near Wembley Stadium. For parkers, it’s cheaper than using meters or municipal car parks. Exactly the same principle as people who rent out their drive for money is people who rent out their garages. The difference is that these tend to be slightly longer term. And because they’re a garage, with all the security benefits these have over a drive, they’re more expensive too. Prices do vary dramatically depending on location but as this is more established there’s a greater choice of where you can find them.